For some of the most experienced concrete contractors Raleigh NC can offer, contact the landscaping professionals at Outdoor Pros. For thirty years, we’ve been providing custom concrete services to clients in Raleigh and the surrounding areas. At Outdoor Pros, we service both residential and commercial clients. And we understand that driveways and sidewalks are important parts of both homes and businesses. In addition to withstanding daily use, a deteriorating driveway or cracked sidewalk can negatively impact your building’s curb appeal. 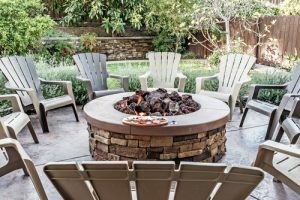 The professionals at Outdoor Pros are bonded concrete contractors in Raleigh NC and can attain permits when necessary in all local cities and towns. Which means in addition to repairing a cracked or crumbling driveway, we can also replace driveway aprons as well as curbs and gutters. We specialize in custom concrete driveway replacements, repairs and installations. We can provide stamped or colored concrete, as well as interlocking paver inlays to both new and existing driveways. Some of our concrete products even allow for traffic use just three days after installation! At Outdoor Pros, we don’t stop at driveways! Our comprehensive concrete services can be used to pour parking pads, patios, ball courts and even RV pads. We can assist in complete driveway tear out and replacement, and can even accommodate unusual shapes, like circular drives. And because we utilize proper sealing technologies and techniques, you can rest assured that your driveway or patio will look great for years to come. When you’re ready to hire the best concrete contractors Raleigh NC has to offer, contact Outdoor Pros today for a free, no obligation consultation. We proudly serve clients located in the Raleigh, Wake Forest, Cary and surrounding areas. Contact us to speak to a member of our team to start repair on your unsightly sidewalk or driveway today!